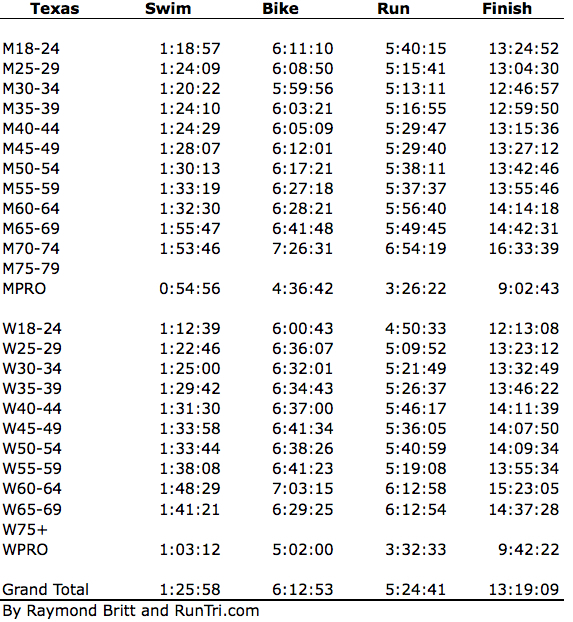 Congratulations to all who finished the inaugural Memorial Hermann Ironman Texas (2600 registered, 18% DNS, 7% DNF). 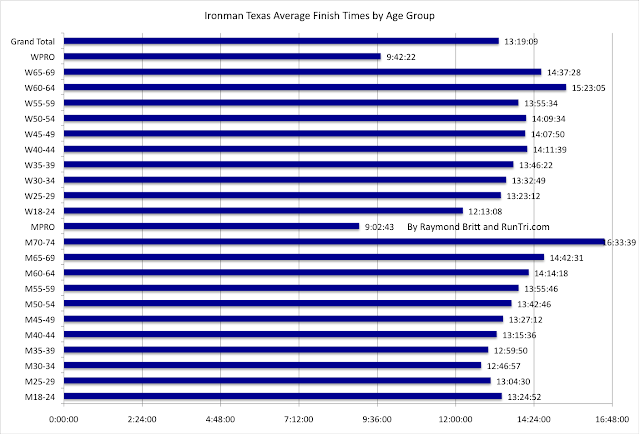 With an average finish time of 13:19, Texas ranks as one of the top 5 most difficult races on RunTri's Toughest Ironman Race Index. 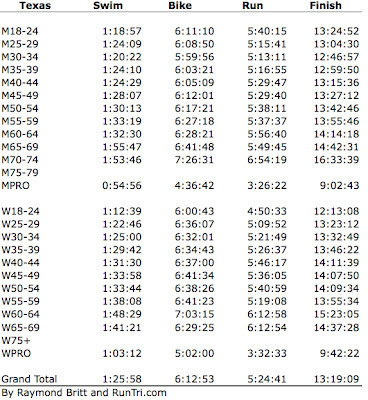 Notably, the swim and run times are significantly higher compared to most other races.